Made from the bodies of wrecked cars, Volkswagen's Crashed Cases sell for $70 and are meant to remind motorists to avoid distracted driving. Drivers hold the power to end distracted driving in their hands. If they need a reminder, they can now hold the wreckage that such distraction causes, too. 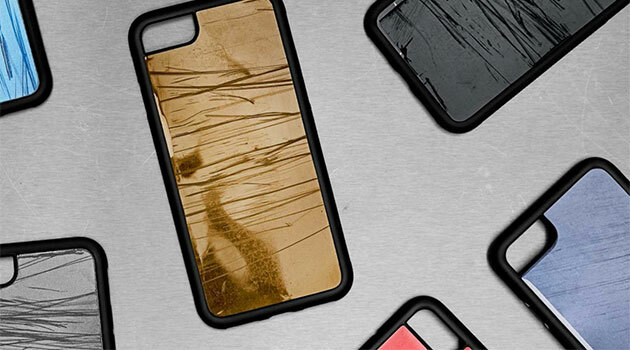 Volkswagen Stockholm—the German automaker’s Swedish operations arm—is selling specialized iPhone 8 cases made from the bodies of wrecked vehicles. The sale is part of the Crashed Cases campaign to end distracted driving. Exactly 153 of the metal cases are available—one for each crash in Sweden since a February ban against phone use while driving took effect in the Scandinavian nation. The cases, while colorful, show significant scratches and denting, indicating the mechanical toll of car crashes. Each costs about $70, and they’re available online to Swedish buyers. Proceeds from the campaign will fund a Swedish nonprofit specializing in the rehabilitation of car crash victims. Despite Sweden’s phone ban, crash numbers there have not slackened, according to Volkswagen. A 2016 survey of the country’s drivers found 37% of Swedes texted while driving, a figure that jumped to 56% for drivers between ages 18 and 30. Swedish trends mirror those in the United States—a recent AAA report found distracted driving played a role in 58% of U.S. teen crashes. Experts tend to agree on the dangers of distracted driving—taking your eyes off the road for 5 seconds at 55 MPH is equivalent to driving the length of a football field blindfolded, according to the U.S. National Highway Traffic Safety Administration. Researchers there linked 3,450 injuries and 391,000 deaths to distracted driving in the U.S. in 2016. While the iPhone cases aren’t available stateside, there is something Americans do locally to make a difference. Join thousands of others in taking the pledge to end distracted driving, and keep your eyes on the road.